Otis Redding’s reputation as a leading voice -- the leading, perhaps -- of a generation of stellar Soul Men is rarely disputed. But it is revisionist history to believe that Otis Redding presided over planet Soul in the 1960s anywhere to the extent Ray Charles or Sam Cooke, who largely defined the genre for male vocalists. Like Cooke’s underground running partner Malcolm X, Otis Redding legacy has largely been the product of The Archive. Redding’s iconic performances of “Try a Little Tenderness” and “I’ve Been Loving You Too Long” -- two of his most notable ballads -- at Monterey provides clear evidence of his stage presence. At 6’ 6’’ Redding commanded a stage, like a lanky NBA Small forward who possessed a voice of thunder, and audiences were palpably mesmerized, as much for his cool and coy deployment of Black masculine energy -- in ways that only James Brown and Wilson Pickett surpassed -- and the sheer brilliance of his singing. But I’d like to suggest that Otis Redding unmoored from the recording studio was about more than just his comfort on the stage, but part of an ethic of kinship on Redding’s part that could only find resonance on stage, and in particular live on the Chitlin Circuit. Live in Europe was not Redding’s first live recording; a full year before the European tour, Redding and his working band (notably not the MGs, who backed Stax artists in the studio) headed out to Los Angeles to do a three-night, eight-show stand at the Whisky-a-Go-Go. Located on the Sunset Strip, the club was not the typical segregated Chitlin’ Circuit haunt that Redding and most Black artists of the era were relegated to, but rather a space that in the 1960s helped launch the careers of The Doors, Buffalo Springfield, The Byrds, and in later years groups like Van Halen and Mötley Crüe. No doubt the Whiskey-a-Go-Go booking was a breakthrough for Redding, and representative of the kinds of breakthroughs that Black artists sought in efforts to reach broader audiences. The example of Berry Gordy’s calculated attempts to bring Motown to Las Vegas or Aretha Franklin’s celebrated residency at The Fillmore West in 1971, were such breakthroughs. If venues like the Whiskey-a-Go-Go and The Fillmore West were wins, the Chitlin Circuit was not a loss; there was a freedom incumbent in those segregated spaces that not only fed the artistry of Black performers but importantly a connection to fictive kin; up in tight Chitlin Circuit spaces, Black performers were not confronting an audience, but folk who could would be family. The pure genius of Redding, was his ability to bring that element of kinship on stage with him, wherever he went. Though Stax recorded Redding’s show at the Whiskey-a-Go-Go, the resultant album In Person at the Whiskey-a-Go-Go would not be released until 10 months after Redding’s death, for all the obvious reasons one might imagine; to “profit” on the tragedy of his death. As Rob Bowman writes in his history of the Stax label, “Otis was forced to use his road band because the MGs were too busy in the Stax studio...the resulting tapes were simply not up to snuff. Redding’s band was as ragged as can be, with the horns being painfully out of tune on virtually every song.” (Soulsville, U.S.A., 96). The so-called “quality” or lack of, of the sessions explains why Stax initially canned the project. Redding’s catalogue offers a unique glimpse into the political economy of the music industry in the 1960s. As has been noted by the aforementioned Bowman and Nelson George in his classic The Death of Rhythm and Blues, as a fledgling regional “race” label, Stax entered into a distribution deal with Atlantic to garner a national audience; Redding, Booker T. and the MGs and “loaners” Sam & Dave were the most successful of those artists, in no small part due to the deal. But a largely obscure feature on the contract dictated that if and when that distribution deal ended and Atlantic rejected its first right to buy the label, Stax’s entire catalogue would become Atlantic’s property (and why they lowballed Stax with their offer). Atlantic released four albums of previously unreleased Redding recordings on their ATCO subsidiary from 1968 to 1970 including now classic songs like “Love Man”, “Hard to Handle” (and check the Juice Crew's classic "The Symphony" for its use in another archive), and “I Got Dreams to Remember”; In Person at the Whiskey A-Go-Go was among those releases. The original ten-song playlist from In Person at the Whiskey A-Go-Go featured Redding standards such as the classic “Mr. Pitiful,” a cover James Brown’s “Papa’s Got a Brand New Bag,” the ballad “These Arms of Mine,” his cover of The Rolling Stone “Satisfaction (I Can’t Get No)” and “Respect” -- a song that Redding wrote, but was made one of the greatest pop hits of the 1960s by Aretha Franklin. 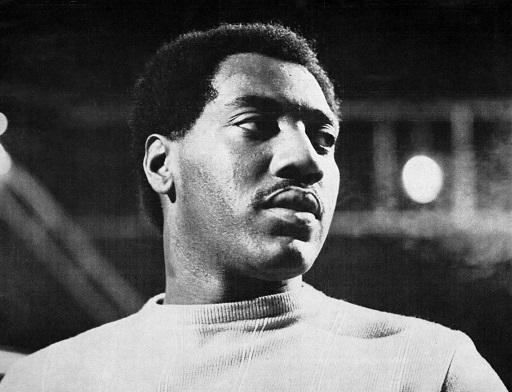 The latter two tracks appeared on Redding’s third and perhaps strongest studio album, Otis Blue: Otis Redding Sings Soul (1965). Yet the song that Redding chose to open all seven shows, over those nights in early April of 1966, was a track that didn’t appear on any Redding album up to that point. “I Can’t Turn You Loose” was a Redding original that appeared on the B-side of “Just One More Day,” a single from 1965 that eventually shows up as the opening track on The Soul Album (1966). Though Stax apparently didn’t have much faith in the song when it was recorded, Redding’s own preference for the song as a warm-up, eventually landed the song on a compilation The History of Otis Redding, released a month before his death. Stax seem more invested in Redding’s cover of The Rolling Stones’ “Satisfaction,” logically figuring it would broaden Redding’s audience, though as Bowman notes in Soulsville U.S.A., Redding had never heard the Stones’ version of the song before recording it, as the choice to record it occurred on a whim by guitarist Steve Cropper. The studio version of “Satisfaction” was one of Redding’s highest charting pop songs to that point in his career and he closed out every set at the Whiskey-A-Go-Go with it. “Satisfaction” and “I Can’t Turn You Loose,” which Redding opened with, are the only two songs that Redding performed during all seven sets. The version of “I Can’t Turn You Loose” that opens In Performance at the Whiskey-A-Go-Go was taken from that very first show, remarkable in its 4-plus minute length and the clear sense that on at least two occasions, Redding could have ended the song before the four minute mark. Drawing from a bit of James Brown’s showmanship -- Brown would perform this elaborate ordeal in which he wouldn’t leave the stage -- by Redding’s genius was to open the show with that gesture, as a calling out to kinship. In the recently released Live At The Whisky A Go Go: The Complete Recordings, which captures all seven shows over three nights, listeners gets some sense of the ways that Redding paced himself in an era when it was normal, particularly on the Chitlin Circuit to do two shows a night. There was of course some basic utility to this arrangement: artists made their money, not off the sales of their records, but largely by the work they did on the road. No doubt Stax was also skeptical that a live recording would translate into record sales, not unlike the pushback that James Brown faced from his label when he initially proposed his Live at the Apollo album in 1963. When his label balked, Brown financed the recording himself and the album, for all intents, established Brown, who had toiled for almost a decade on the Chitlin Circuit, as a bonafide star or someone who could legitimately claim to be Soul Brother #1. Whereas the first set of the opening night at The Whiskey-a-Go-Go features a fire and brimstone version on “I Can’t Turn You Loose” -- and likely the reason Stax chose it for the original album -- on subsequent nights the version of the song that appears in the opening set feels more like a Blues stroll. Yet Redding never stopped giving; the version of the song that Redding performs as the third set on the second night, with his riffs from Sam and Dave’s “hold on...I’m coming,” is such an example, as it logs it at over six-minutes. The notion of friendship or kinship was critical to understanding the role that Redding played on stage; Soul music was not just about sharing the Black musical experience with so-called White America, but with sharing an ethics of faith and fellowship -- Redding having the faith that his music would move audiences and that the music would be the conduit for true kinship. Not surprisingly, a decade after Redding's death the late John Belushi and Dan Aykroyd would use the intro horn-lines from "I Can't Turn You Loose" as part as their introduction as the Blues Brothers -- their problematic "tribute" to the Stax era. Nearly fifty years after Redding’s untimely death, Live At The Whisky A Go Go: The Complete Recordings is a thoughtful reminder of what was once possible.